During his tenure Gershon has led more than 200 Master Chorale performances at Walt Disney Concert Hall in programs encompassing choral music from the earliest writings and pillars of the repertoire through to contemporary compositions. He has led world premiere performances of major works by John Adams, Esa-Pekka Salonen, David Lang, Louis Andriessen, Christopher Rouse, Steve Reich, Morten Lauridsen, Ricky Ian Gordon, Gabriela Lena Frank, Shawn Kirchner, and Chinary Ung, among many others. Gershon will close out the Master Chorale’s current 2017/18 season conducting the world premiere of Ellen Reid’s dreams of the new world in May, and two performances of the Brahms Requiem in June. He will also conduct alongside guest conductors at the Big Sing California culmination concert in July. During the Master Chorale’s 2018/19 season, he will lead performances of the Mozart Requiem and Bach’s Magnificat in programs that also feature Shawn Kirchner’s Songs of Ascent and the West Coast premiere of Reena Esmail’s This Love Between Us: Prayers for Unity, affirming his commitment to Los Angeles composers. He will conduct all of the Master Chorale’s Christmas concerts including a new program called English Cathedral Christmas, two Festival of Carols concerts, Handel’s Messiah and the 38th Annual Messiah Sing-Along. Gershon will also conduct the 2018 and 2019 High School Choir Festival performances of close to 1,000 students in Disney Hall, and also lead large group rehearsals, providing professional guidance to the next generation of choir singers. Gershon is the Resident Conductor of LA Opera and will conduct the West Coast premiere of Philip Glass’ Satyagraha in November 2018. He made his acclaimed debut with the company with La Traviata in 2009 and has subsequently conducted Il Postino, Madame Butterfly, Carmen, Florencia en el Amazonas, Wonderful Town, The Tales of Hoffmann, and The Pearl Fishers. 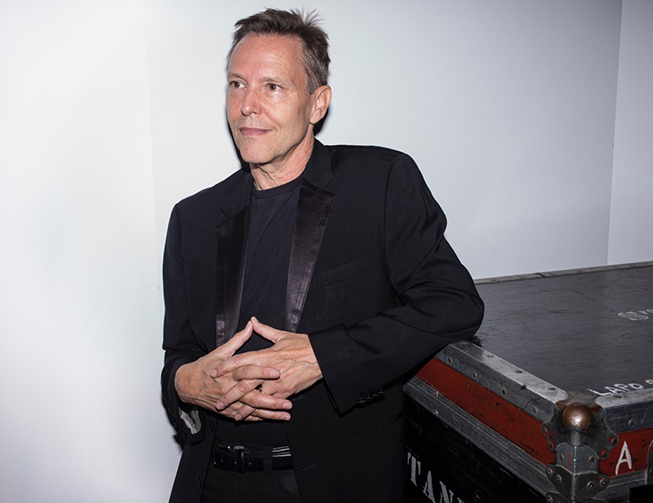 In 2017 he made his San Francisco Opera debut conducting the world premiere of John Adams’ Girls of the Golden West directed by Peter Sellars, who also wrote the libretto. He will make his Dutch National Opera debut conducting the Rotterdam Philharmonic Orchestra in performances of Girls of the Golden West in March 2019. Gershon and Adams have an enduring friendship and professional relationship which began 27 years ago in Los Angeles when Gershon played keyboards in the pit for Nixon in China at LA Opera. Since then, Gershon has led the world premiere performances of Adams’ theater piece I Was Looking At The Ceiling And Then I Saw The Sky, premiered his two-piano piece Hallelujah Junction (with Gloria Cheng), and has conducted performances of Harmonium, The Gospel According to the Other Mary, El Niño, The Chairman Dances, and choruses from The Death of Klinghoffer. In New York, Gershon has appeared at Carnegie Hall and at the historic Trinity Wall Street, as well as on the Great Performers series at Lincoln Center and the Making Music series at Zankel Hall. Other major appearances include performances at the Ravinia, Aspen, Edinburgh, Helsinki, Salzburg and Vienna Festivals, the South American premiere of the LA Opera’s production of Il Postino in Chile, and with the Baltimore Symphony and the Coro e Orchestra Del Teatro Regio Di Torino in Turin, Italy. He has worked closely with numerous conductors, including Claudio Abbado, Pierre Boulez, James Conlon, Gustavo Dudamel, Lorin Maazel, Zubin Mehta, Simon Rattle, and his mentor, Esa-Pekka Salonen. His discography includes two Grammy Award-nominated recordings: Sweeney Todd (New York Philharmonic Special Editions) and Ligeti’s Grand Macabre (Sony Classical); six commercial CDs with the Master Chorale: Glass-Salonen (RCM), You Are (Variations) (Nonesuch), Daniel Variations (Nonesuch), A Good Understanding (Decca), Miserere (Decca), and the national anthems (Cantaloupe Music); and two live performance albums, the Master Chorale’s 50th Season Celebration recording and Festival of Carols, the choir’s first holiday album in nearly 20 years. He has also led the Master Chorale in performances for several major motion pictures soundtracks including Star Wars: The Last Jedi at the request of composer John Williams. Mr. Gershon was named Outstanding Alumnus of the Thornton School of Music in 2002 and received the USC Alumni Merit Award in 2017. He is a member of the Board of Councilors for the Thornton School and the Board of Directors of Chorus America.